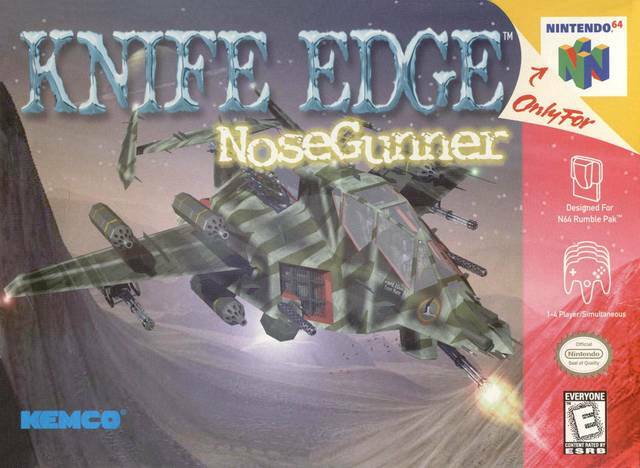 Knife Edge: Nose Gunner for Nintendo 64 is a rail-based shooter that straps you in the cockpit of a futuristic attack chopper. The action takes place from a first-person perspective as you battle enemies across six 3D stages by aiming a targeting reticule with the analog stick. For 1-2 Players.